It’s a little thinner. It’s a little lighter. It’s a whole lot faster. All of this makes the iPad Air 2 both more of the same and better than ever. The form-factor didn’t change since last year’s redesign, but even though the iPad Air 2 is slimmer than its predecessor, Apple didn’t sacrifice battery life. The company claims up to 10 hours using Wi-Fi, and in three battery rundown tests I averaged 10 hours and 14 minutes of continuously watching a 720p video. The new gold color is lovely. But I wish you could choose the color of the front bezel, because the bezel on the gold iPad is white. I’ve used a couple of silver iPads with white bezels, and I just think videos and photos pop better when framed with black—especially letterboxed video, since those bars are black. But the Touch ID button looks splendid in gold, it must be said. The gold has a lovely color, and it's nice and matte, instead of overly shiny or gaudy. I do miss the switch, which you could previously designate to lock the rotation or mute the iPad’s sound. Now you need to swipe up to engage the rotation lock in Control Center, and mute the volume either with the slider in that same Control Center, or by holding down the volume-down button. Thin is always in for tablets, and the iPad Air 2 is thinner than any of the iPad minis. 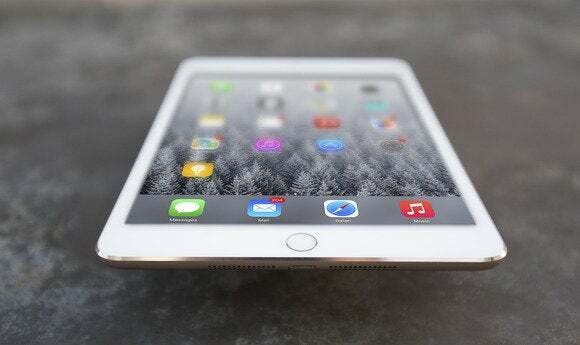 Apple did shave 20 percent off the thickness of the iPad Air 2 compared to the last version. It’s just 6.1mm thick. It feels more like a thin magazine than a tablet. At 0.96 pound for the Wi-Fi version, the weight isn’t dramatically lighter than the previous iPad Air, which weighs an even 1 pound, but if you’re transitioning from a larger iPad (the 4th generation and earlier), you’ll definitely notice how much lighter this is. Its weight seemed to disappear in my handbag, only slightly heavier than an iPad mini (0.73 pound). I held it with one hand for long reading sessions (turning pages with my other hand) without getting tired. Screen time outdoors?! 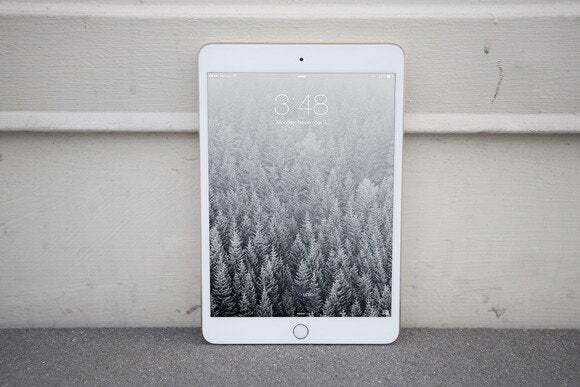 The iPad Air 2 makes it possible. The midafternoon sun washed out the iPad's colors but the screen was still visible enough for my son to play. The other most noticeable difference is the antireflective coating on the screen. It’s much easier to see in bright sunlight than ever. 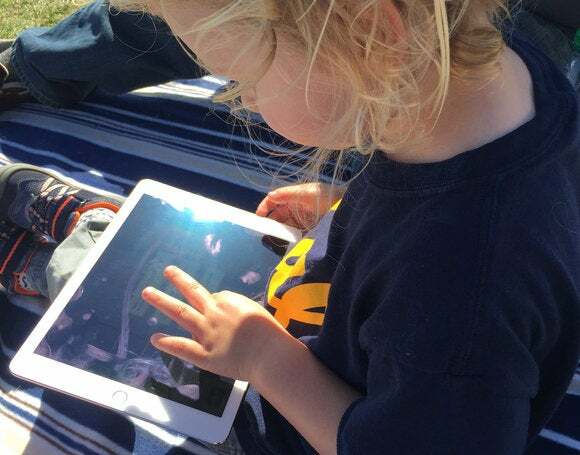 I brought it to an outdoor concert on a completely cloudless day, and my son happily played Toca Boca apps all day with the brightness all the way up. I’d still love a couple more notches of brightness for the sunniest conditions, but you can really see what’s on screen, and that’s a big improvement. Even with a slimmer body, the iPad Air 2 packs plenty of punch. Its A8X processor clocked a Geekbench 3 single-core score of 1812 and multicore score of 4519. That multicore score is 70 percent faster than the iPad Air, which turned in scores of 1463 and 2652, respectively. The same A7 chip in that first iPad Air is also in the iPad mini 3 and the iPad mini 2, and their Geekbench 3 scores were comparable but just a little slower. Geekbench 3 scores. Higher numbers and longer bars are better. Blue is multicore and green is single-core. What does that all mean? The iPad Air 2 does everything faster. Apps launch faster. Resource-heavy creative apps like Photoshop Mix, Pixelmator, and iMovie finish their tasks in record time. I played Modern Combat 5: Blackout and Asphalt 8: Airborne (poorly) with next to no loading times and never a stutter or crash. Before this, I was primarily using an third-gen iPad, and the difference is striking. Apple beefed up the photo capabilities of the iPad Air 2 as well, giving it an 8-megapixel iSight camera on the back, and a 1.2-megapixel FaceTime camera on the front. Photos taken with the iSight camera are crisper and more detailed than the 5-megapixel photos taken by the rest of the iPad lineup. In fact, photos I took with the iPad Air are hard to distinguish from photos I’ve taken with my brand-new, 8-megapixel iPhone 6. 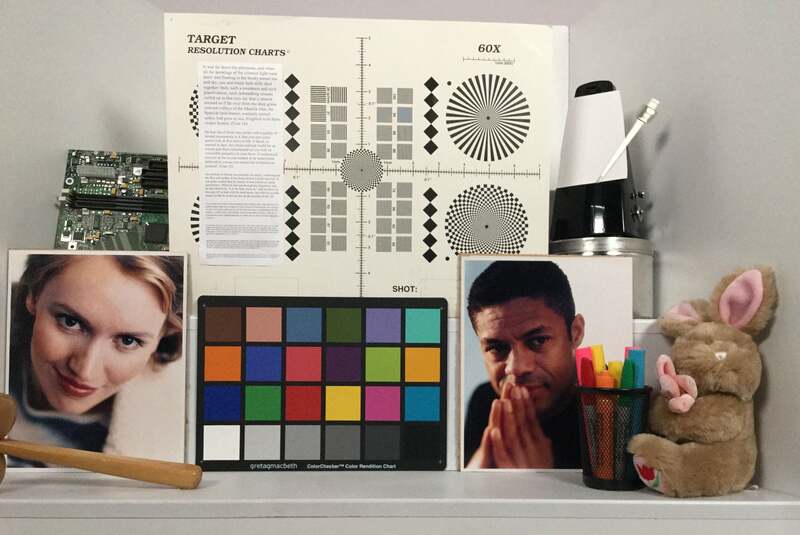 The iPad Air 2 has many of the same camera features as the iPhone, designed to make it easy to shoot great-looking photos and videos: face detection, a f/2.4 aperture (the iPhone 6 is f/2.2), even 720p 120fps slo-mo video and burst mode for stills. The iPhone still outperforms it in low light, but the iPad Air 2 has a much better camera than last year’s version. 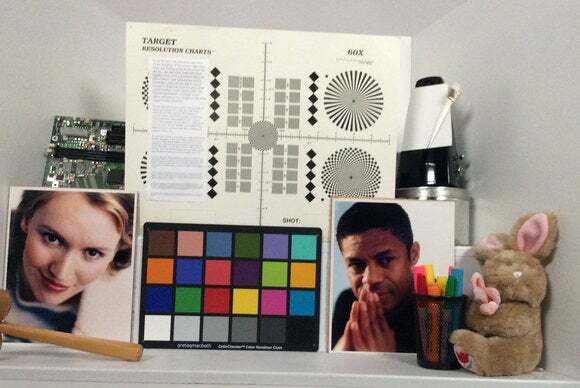 Does that mean you’ll want to actually use your iPad as a camera? Well, that’s up to you. The big screen does make a nice viewfinder, and the new antireflective screen coating lets you keep shooting in bright sunlight. But compared to a cell phone or even an iPad mini, it’s still awkward to use as a camera. I had trouble holding the thing still while I tried to tap to focus, adjust exposure, and hit the shutter button. It just felt so unnatural. But as Apple pointed out when introducing the iPad Air 2, plenty of iPad apps use the camera, like apps that scan documents to PDF. And to be fair, shooting video with the iPad works very well—I got smoother footage than I’m using to getting with my iPhone since I could grip both sides while filming. If you already own an iPad Air, you’re probably not in a hurry to replace it, and you shouldn’t be. The iPad Air 2 is faster and takes better photos, but the iPad Air is still plenty capable. If you own a third- or fourth-gen iPad and managed to resist the iPad Air, the iPad Air 2 will feel like the huge step up that it is. I still have a first-gen iPad kicking around my house, and the difference between that and the iPad Air 2 is like going from a rusty banana-seat bicycle to a Harley. It’s remarkable how far the iPad has come in under five years. 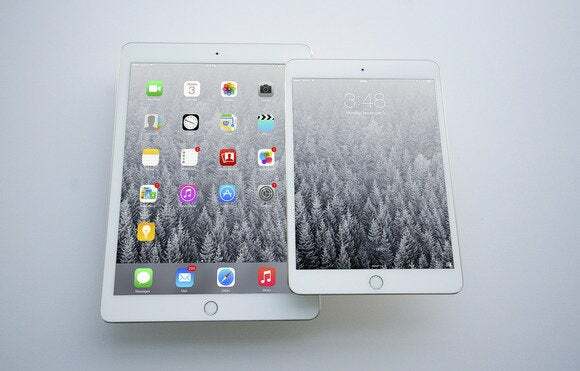 What about the iPad mini? Apple kept last year’s iPad mini with Retina display in the lineup, dropping the starting price to $299 and rechristening it the iPad mini 2. 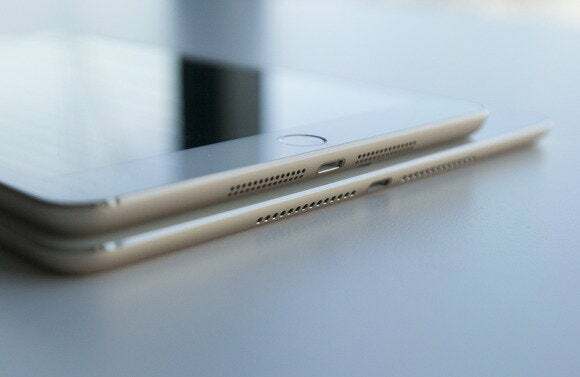 The iPad mini 3 introduced alongside the iPad Air 2 doesn’t have any new features besides the gold color (which is a color, not a feature) and the addition of Touch ID. Other than Touch ID, all the iPad mini 3 got was the short end of the gold stick. Now, Touch ID is great. I just got my first Touch ID button on my iPhone 6, and barely two months later I’m totally hooked. I recently had to use my iPhone 5c for a couple days and I was constantly trying to unlock it with my thumbprint, because Touch ID had completely overwritten six years’ worth of muscle memory of sliding the screen and punching in my passcode. But still. 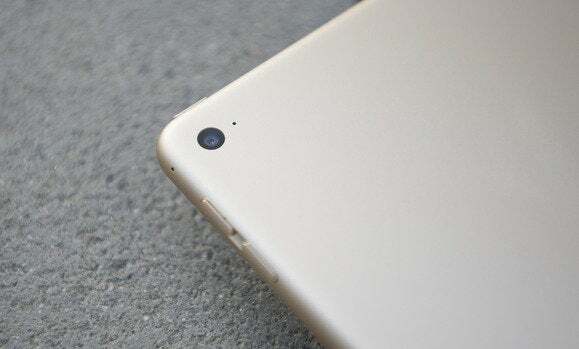 With no new camera, and no new chip, is the iPad mini 3 worth buying, since you can still get the iPad mini 2 and just deprive yourself of Touch ID? Not really. If you’re in the market for a smaller tablet, I’d get the iPad mini 2. That feels like the base model now, with the Touch ID as a fancy add-on, like heated leather seats in your new car. I guess we'll have to wait for next year for the iPad mini to get new features. Apple is only offering the iPad mini 2 in 16GB for $299 and 32GB for $349, so get the 32GB version. The iPad mini 3 starts at $399 for 16GB, then jumps to $499 for 64GB and $599 for 128GB. So if you want more than 32GB of storage, I’d go for the more capable, better-future-proofed iPad Air 2. All of Apple’s tablets are great performers. Having five different models—in various sizes, both Wi-Fi only and with cellular—makes them more accessible than ever, since the price points range from $249 for the original iPad mini all the way to $829 for the top-end 128GB cellular iPad Air 2. If you need a new iPad, go for the top of the line, the best one you can afford. 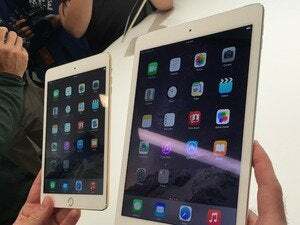 People don’t tend to update their tablets as often as their phones, and if you opt for a previous-generation iPad, you’ll be left behind sooner when Apple stops supporting it with updates. Then again, if your iPad is only a year or two old, and runs iOS 8 just fine, maybe you’ll want to wait a year—next year’s iPad Air is bound to be even better. The iPad Air 2 posted huge performance gains while slimming down and keeping the same battery life. iPad Air owners don't need to upgrade so soon, but for everyone else it'll feel like a worthy purchase. The iPad mini 3 gets a Touch ID button and a new gold option, but the cameras, processor, and everything else remain the same—it's just not much of an upgrade, but at least the iPad mini 2 is still on sale.